There is also a small clothes airer. Duvets and pillows are provided,you will need to provide bed linen, (1 x 5ft double bed, 2 x singles, 1 x sofa bed in lounge area) shower mat, towels, tea towels. Caravan is available from early March to mid December. We ask for a 20% deposit on booking with the final balance due 6 weeks before your arrival. We also ask for a £50 security deposit to cover breakages/damage etc which will be refunded by bank transfer or cheque, within 7 days following departure subject to cleaner's inspection. Please look after the caravan and leave in a clean and tidy state as you found it. Rockley Park is a 5 star holiday park set in a fantastic location offering indoor and outdoor facilities, amusements and show bar with daytime and evening entertainment for all the family. Membership passes can be purchased from reception on arrival. Rockley Park also has a luxury SPA and watersports academy. Hamworthy Common Nature Reserve nearby offers great walks. There is a frequent bus service on site to the surrounding areas. There are superb blue flag beaches in the surrounding areas to Rockley Park. Sandbanks and Poole Quay are close by with many restaurants and pubs offering a wide range of dining options. 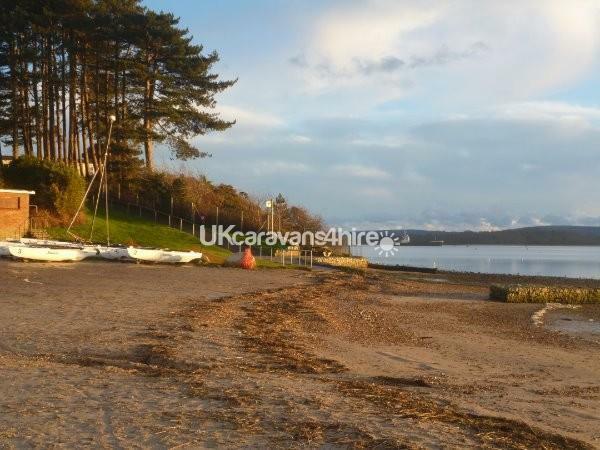 There are also several National Trust properties including Brownsea Island (well worth a visit! ), Corfe Castle and Kingston Lacy. Rockley Park is situated close to the dramatic Jurassic coastline.